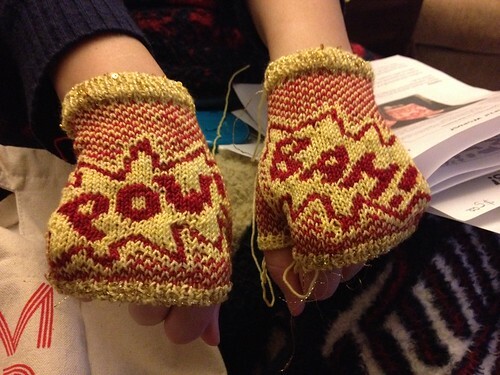 Karyn really digs Wonder Woman and when I found this pattern on Ravelry, I knew these were the mitts for her! 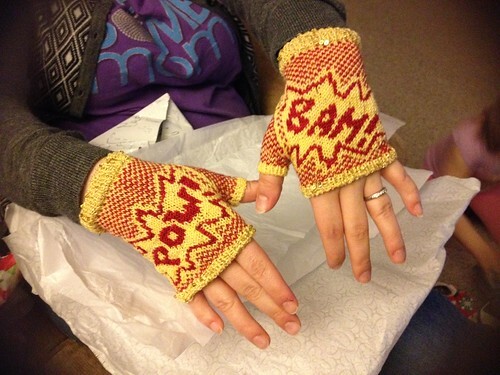 I got them done just a few days before we had our Christmas gift exchange. My niece, Hannie, liked them, too, and insisted on trying them on. I suppose I’ll need to knit her a slightly smaller pair in green — so far her favorite comic book lady is Poison Ivy (or “Plant Girl”, she calls her). 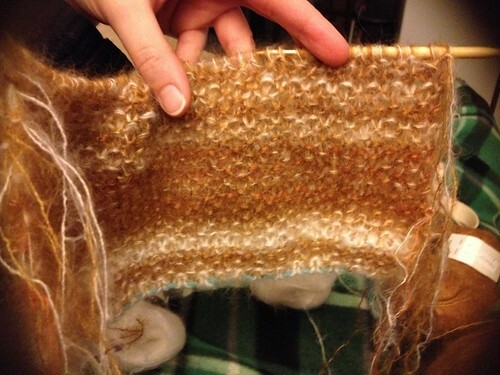 This pattern looked complex from the start, but it was actually a cinch to follow. And doing colorwork for the second time required a little muscle-memory refresh, but it wasn’t so bad. I got a little hung-up on the new-to-me tubular cast-on and bind-off, as well as on the thumb gusset, but in the end: these mitts turned out just lovely. 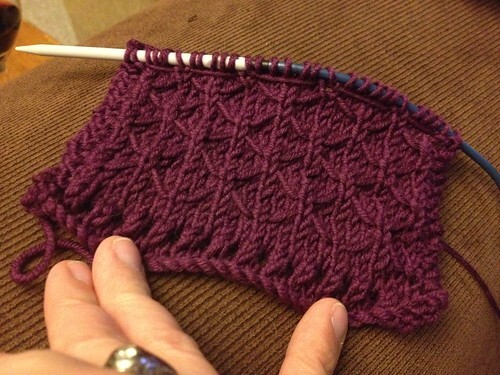 I actually really like how the cast-on/bind-off look and feel, too — nice and stretchy. These thumbs were a mess. 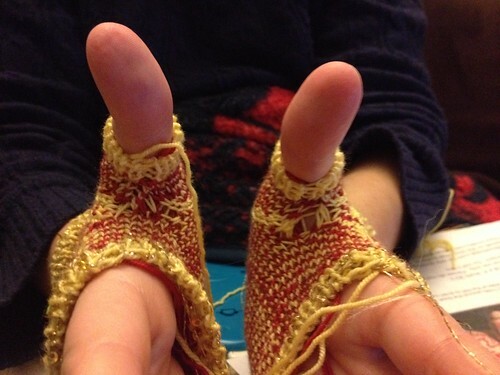 The photo was taken before I re-knit the left-hand mitt. The right-hand mitt wasn’t my best work, either, but it was a little easier to thread some of the extra through to close up. Because I don’t want to be knitting it in 2016 at all.